I am now back from Ethiopia. My plan was to write at least a post or two from in the field. Unfortunately, a few days before I left, electronic devices in carry-on bags were restricted on flights from a number of middle-east airports including one I would be traveling through. This meant that I was going to have to check my iPad in my luggage. Due to experiences some of my fellow travelers have had with airport workers with sticky fingers, I opted not to bring any more expensive gear than was absolutely necessary. Though I would have liked to have been able to write from the field, by best thoughts on the things I’ve seen and experienced when I travel often come not during, but weeks or even months afterward. I need time to process and ruminate on things. I took a couple thousand pictures and hours of video on this trip, and looking at those will also help me to put things together. If my writing seems a bit off, it’s because I’m still jet lagged. I was up for almost 48 hours straight this time coming home, due to the schedule and some very uncomfortable flights. (I truly hate middle seats). I traveled a different airline this time than I have before, Turkish Air to be specific. I had some initial trepidation about flying this airline, but after the experience I can honestly say I would do it again. The food, by airline food standards, was actually pretty good. Furthermore, I had an eight hour layover in Istanbul on the way home. Turkish Air, though they don’t seem to advertise it, will give you a free tour of the city with a guide on a nice bus if you have a long layover. 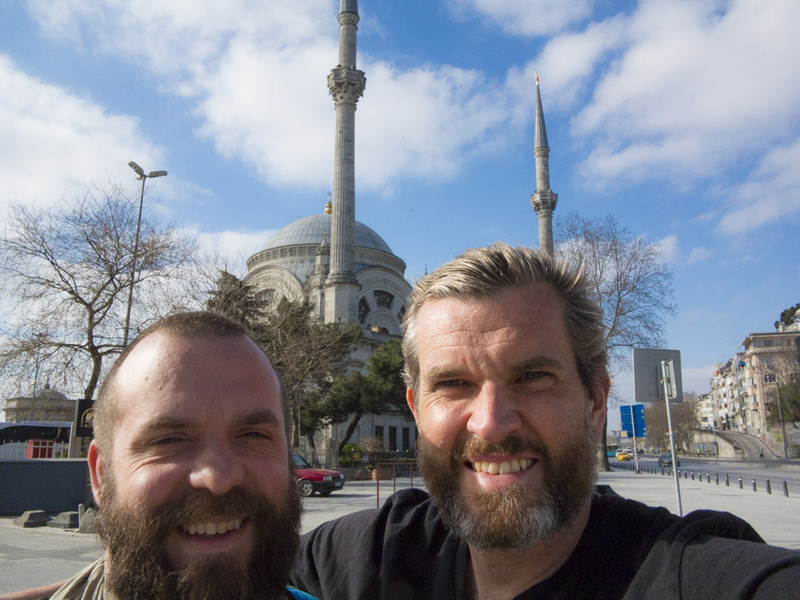 We opted to do this, and I’ve got to say that Istanbul is a fantastic city to visit. At least the parts that I visited were modern and clean, but full of ancient historic sights everywhere. So the long and the short of it is this. 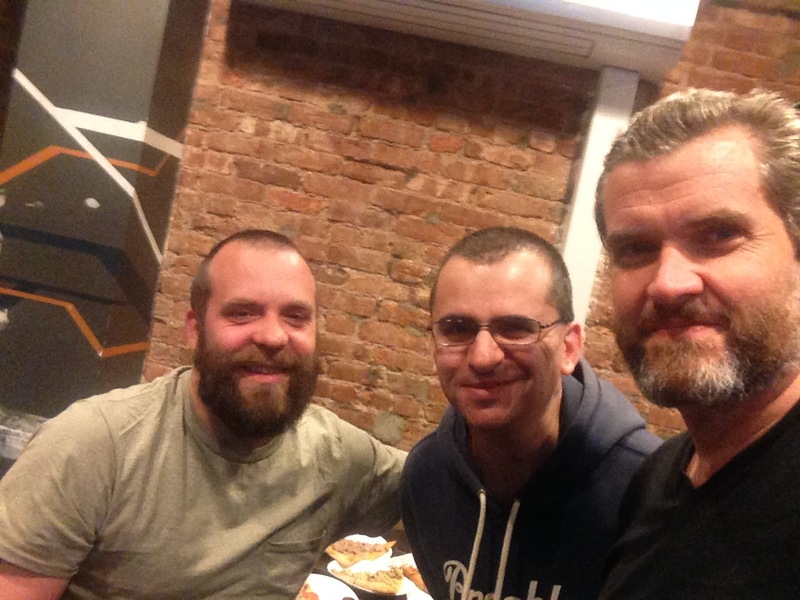 I had lunch in Eastern Ethiopia, dinner in Addis Ababa, Turkish coffee in Istanbul, then I flew to New York where I had pizza in Brooklyn with a very old friend. In Istanbul I was able to see Asia across the water as I drank my coffee. All told it took about thirty six hours, but from leaving Africa to landing in New York was about 24 hours. It was not the most relaxing way to travel, but it was an adventure, and I was able to add Turkey to the list of countries I’ve been to. Soon I will start writing about Ethiopia, but I need to get some rest first so I can put two words together and have them make sense. The Blue Mosque in Istanbul.